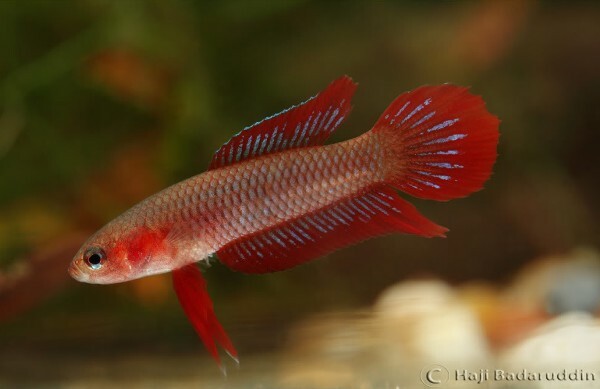 Among the multitude of freshwater fish species available in the aquarium hobby a great number of them hail from tropical forests in South America, Africa and Southeast Asia, and one prevailing image of how their habitats might look is that of peaty forested streams and pools containing tea-coloured blackwater. Aside from its distinctive colour the water is also typically acidic, rich in humic substances, nutrient-poor and inhospitable to most microorganisms, so we often attempt to simulate these natural conditions in our tanks to promote optimal health and breeding in our fishes. There are several popular methods and one of the most widespread is the use of natural peat, often in the form of peat ‘moss’, compressed granules or pellets, in liquid ‘blackwater extract’-type products, or more rarely in its unrefined, fibrous state. What is peat and why is it important? 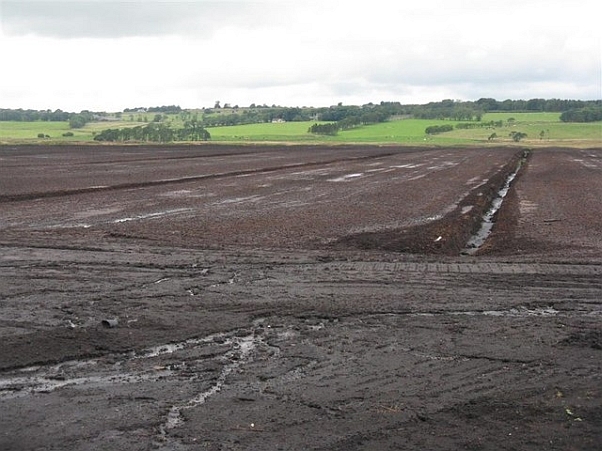 Peat is an organic material formed by partially-decomposed vegetation under waterlogged conditions which accumulates faster than it breaks down. 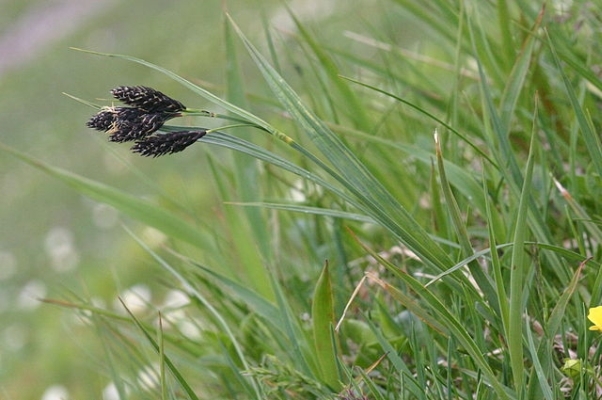 It typically forms in bogs, swamps and similar habitats where conditions are lacking in oxygen, preventing the activity of microorganisms and reducing the rate of decomposition. 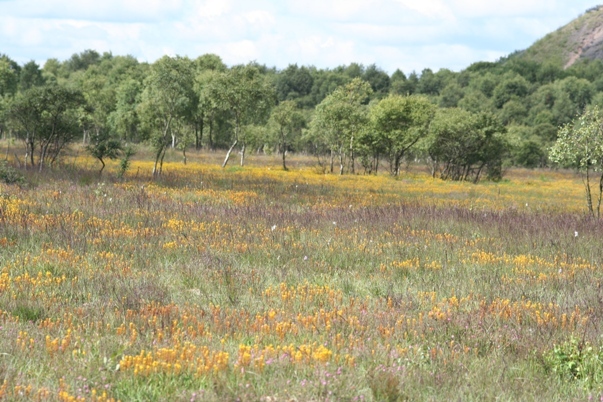 As the peat accumulates it’s also able to store more water and the area of bog thus expands. Under normal circumstances plant material produces the greenhouse gas carbon dioxide when it decomposes but in such an oxygen-deficient bog or swamp it’s stored as carbon and ‘locked’ from escaping into the atmosphere. Peat-rich environments therefore provide an essential environmental function as enormous carbon sinks at the global scale, with those remaining in the UK alone storing more carbon than all of Europe’s forests combined. The most recent estimate that global peatlands contain approximately 650 Gt (gigatonnes) of carbon, about 80 times more than annual emissions from the fossil fuel industry which produces around 8 Gt. Peat also accumulates gradually over thousands of years, so cannot be replaced once removed, and therefore in no way can it be considered a renewable or sustainable resource. Besides all this peat-rich environments support diverse and unique biological communities that can never be regained once lost. 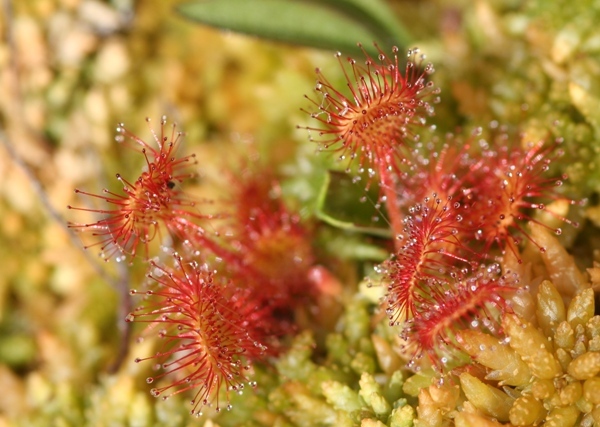 Many bog plants are highly-specialised, for example, and include iconic species such as the carnivorous sundews, Drosera spp., and venus fly trap, Dionaea muscipula, while well-known aquatic genera such as Cryptocoryne and Barclaya are native to peat swamp forests of Southeast Asia. 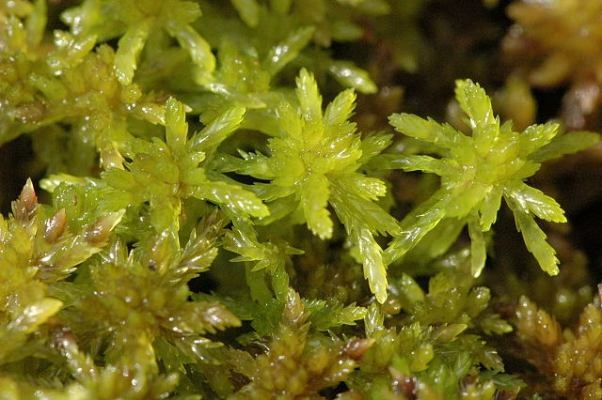 The physical and chemical properties of peat depend on the type of vegetation involved in its formation, and the stuff we use in aquaria tends to be harvested in Canada and dominated by mosses of the genus Sphagnum, commonly referred to as peat or bog mosses. 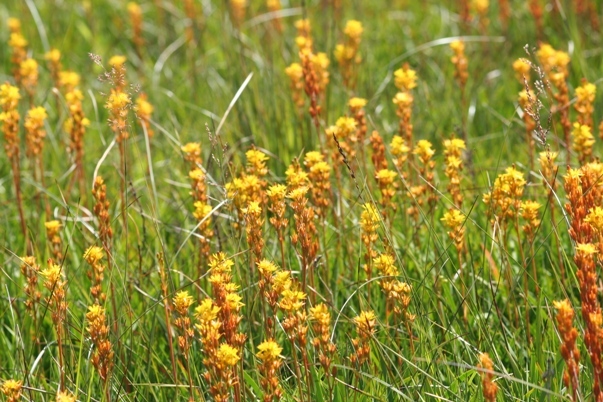 Sphagnum bogs are normally acidic due to the mosses’ tendency to absorb cations such as calcium and magnesium while releasing hydrogen. They can exist in several different forms, from ‘string’ bogs comprising a series of elevated ridges and islands or ‘raised’ bogs where the peat accumulates above the point where water is able to reach its centre and forms a dome or mound, to ‘floating’ bogs in which the bog vegetation forms a thick mat floating on water or very wet underlying peat. Other types of peat wetland may have neutral to alkaline water chemistry and relatively high concentrations of dissolved minerals with vegetation typically consisting of sedges and grasses. These are normally referred to as fens rather than bogs with the pair collectively known as mires. Which part of the world does it come from? The largest areas of peatland lie in boreal and subarctic regions, particularly northwestern Europe, western Siberia, central Canada and Alaska. Important peatlands are also found in tropical Africa, Southeast Asia and in recent years the existence of extensive peat deposits in the western Amazonian lowlands has also been confirmed having only rarely been considered in the past. Why, how and to what extent is peat being exploited? Peat has been used as an energy source for at least 2000 years and today is still excavated in industrial quantities then dried for use in horticulture and as a fuel. The traditional method of removal is hand-cutting using a specially-designed spade known as a sleán or slane in such a way that the peat layer is able to continue to grow after harvesting. Although a laborious, time-consuming process hand-cutting does permit recovery of peat to a certain extent since it usually takes place on a relatively small scale. More common in modern times is industrial-scale mechanised extraction using either an auger (aka sausage machine) or digger-and-hopper with the latter in particular resulting in rapid deep-draining of the peat, stripping of surface vegetation and irrevocable destruction of entire wetlands. In the United Kingdom, for example, a combination of draining and ditching plus an ill-conceived attempt to use bogs for planting of sitka spruce trees by the paper industry in the 1980s has already resulted in the loss of over 90% with only 6000 hectares (ha.) of the original 95,000+ ha. remaining. Peatlands are also destroyed in order to replace them with large-scale agricultural projects and during the last decades such exploitation has had a negative effect on carbon storage and biodiversity, increasing carbon emissions, enhancing global warming and driving thousands of species towards extinction. This is perhaps most evidently seen in the mass-clearing and burning of peat swamp forests in Southeast Asia which continues today but was exemplified by the Indonesian government’s failed ‘Mega Rice Project’ during the late 1990s. 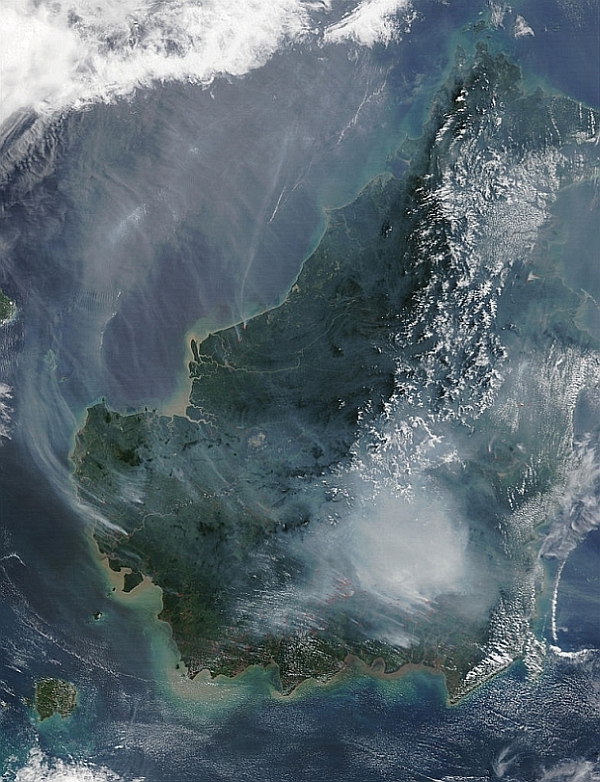 In 1997 fires in Kalimantan and Sumatra released 0.81-2.57 Gt of carbon into the atmosphere, representing 13-40 % of that year’s global carbon emissions and causing the 1997 Southeast Asian haze. 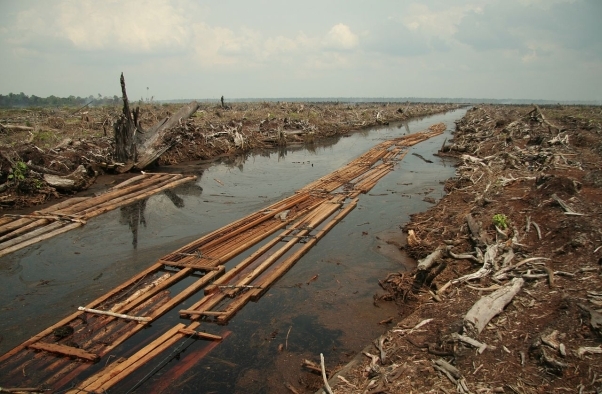 Although the MRP was abandoned, and has subsequently been considered one of the great environmental disasters of our time, clearing and burning of peatlands continues across Southeast Asia and one hypothesis predicts that at the current rate of loss there will be no more peat deposits in the region by 2040. Should this occur the catastrophic loss of endemic species would include a host of well-known aquarium fishes such as members of the genera Betta, Parosphromenus, Rasbora, ‘Puntius’, Boraras, Sundadanio and Pangio, many of which are already at risk of extinction. Fishkeepers can hardly be blamed for all this though, can they? Of course not, but is there really a need to contribute to the destruction of such important natural habitat? Although the amount of peat consumed by the aquarium industry is in no way comparable to that used in the manufacture of horticultural products or fuel our hobby is consuming by nature and this is one way in which it can take a positive step to become less so. Many fishkeepers also tend to demonstrate an interest in the natural world so given this is a genuine environmental issue maybe it’s time to reassess the use of peat in our tanks and seek equally useful but more sustainable alternatives. But surely if the fishes I keep come from environments influenced by peat I need to use it in their aquarium? Actually in most cases the answer is no. 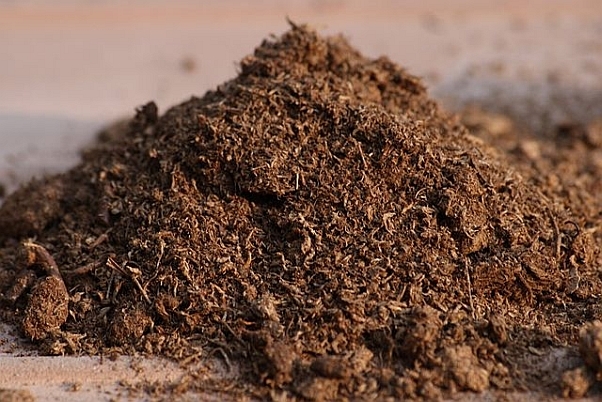 The chemical properties of peat are affected by local vegetation-types, the environment in which it’s deposited and the extent of decomposition, with pH normally ranging from 4.0 – 7.0 but sometimes being as low as 3.0, for example. Any peat or peat-based product used in the aquarium is therefore extremely unlikely to match that occurring in the natural habitat of our fishes. The primary organic constituents of peat are often referred to collectively as humic substances of which a principal component is humic acid, and this is often said to be important for species which naturally inhabit black water environments. However, humic acid actually refers to a complex mixture containing a number of different acids rather than a single substance and is formed from biodegradation of plant material in general rather than a single particular group. In the aquarium a similar effect can be obtained by using leaf litter or alder cones, both of which release humic acids when allowed to decompose in water. You may also be able to collect these yourself which is easier on the pocket, and it goes without saying that the use of dead leaves and cones is more environmentally-friendly than peat. Moreover peat does not exert a significant effect on water chemistry in the quantities normally used in aquaria and is not useful as a means of acidifying water (the same can be said of leaves and alder cones) rather the chemicals it releases are considered beneficial to certain fish species. In harder water these benefits are reduced and the use of a reverse osmosis unit or other form of water purifier, often with the addition of supplements such as phosphoric acid, is normally required to achieve a sufficiently low pH for sensitive blackwater species. 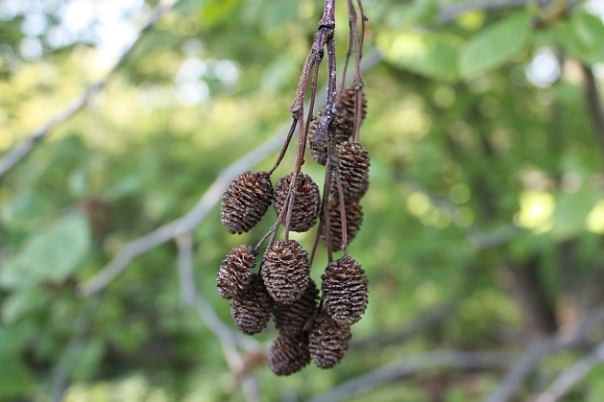 Leaves or alder cones can then be used to provide optimum conditions and will offer much the same benefits as peat. Peat is traditionally used as a medium for spawning and egg storage of annual killifishes but there are a few alternatives of which the most popular is arguably coconut fibre or ‘coir’. This is made from the fibrous husk material which surrounds a coconut, is essentially an industrial by-product and although not entirely kind to the environment is at least considered a renewable resource. 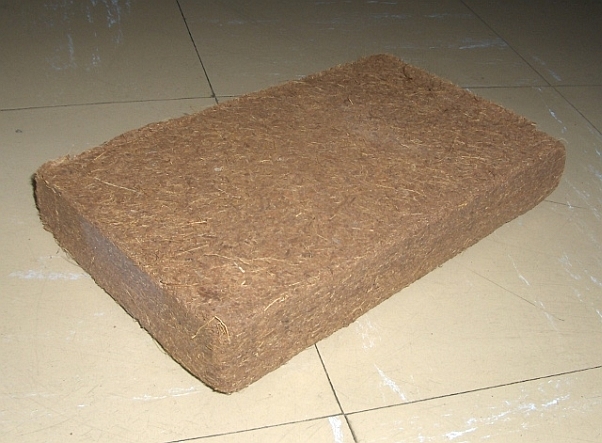 It’s usually shipped in the form of compressed bales, briquettes, slabs or discs, is cheap to buy and an excellent medium for eggs although you may need to experiment a little to obtain the best results if accustomed to using peat since it tends to dry at a faster rate. Thanks to Colin Dunlop for comments.